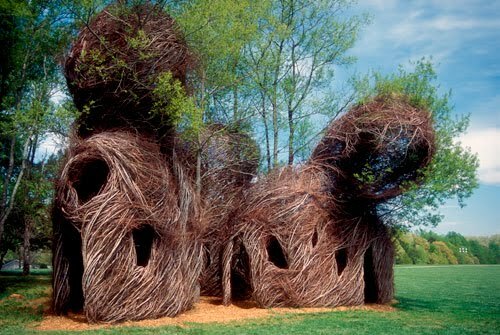 Patrick Dougherty's twig construtions are magical! 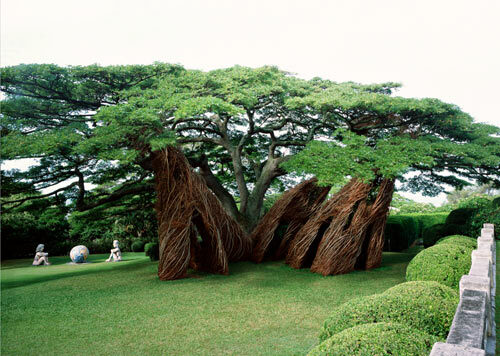 He combines his carpentry skills with his love of nature to create these amazing installations. 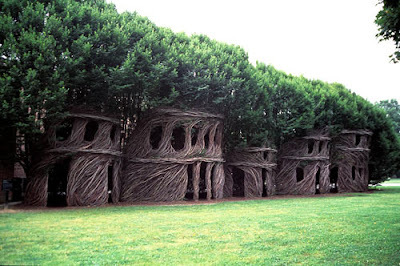 I love them they are just so surreal, I wish I could live in one. Do they remind you of the twig fort from Where The Wild Things Are? I watched the movie the other day, it was so beautiful. Omg this is really awesome! !